All That I Am is led by the single 'I'm Feeling You', which reteams Santana with Michelle Branch, who wrote the song with John Shanks and Kara DioGuardi. 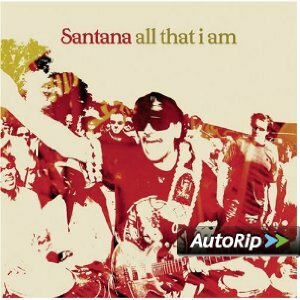 Santana also taps some rock heroes on the new disc, with Aerosmith's Steven Tyler contributing vocals to 'Just Feel Better', while Metallica guitarist Kirk Hammett appears with pedal steel phenom Robert Randolph on the instrumental track 'Trinity'. American Idol runner-up Bo Bice appears on 'Brown Skin Girl'. Arista. 2005.